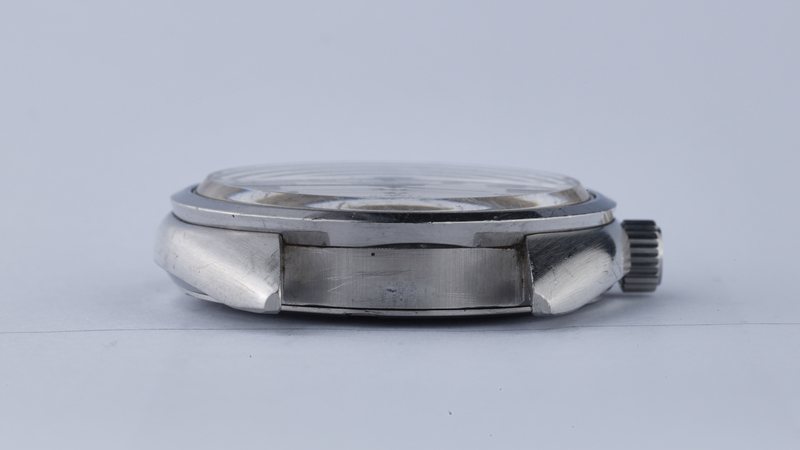 Launched in the second half of 1970, the 452x-7010 references are characterised by their brushed oval cases, which are very similar to those found on the later 564x-7000 models. Interestingly, these references appear to have been produced with two dial variants. 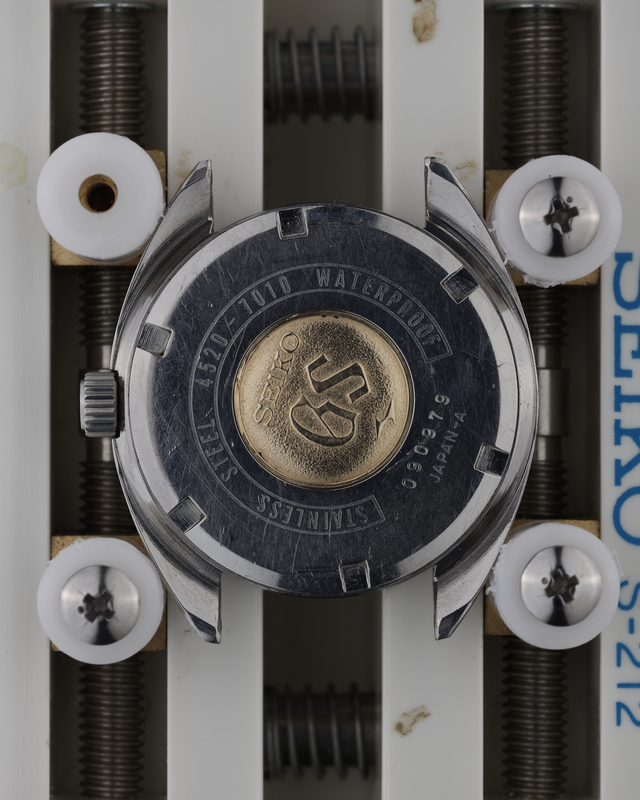 The Seiko catalogues from the early 1970’s show an extra line of text referencing the bph – “36000” – on the dial. 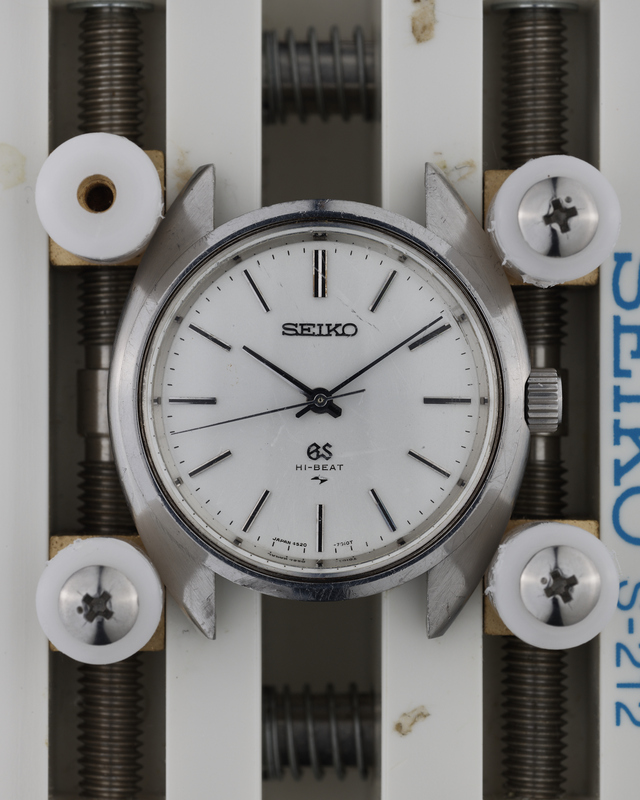 The example shown here does not have that extra line of text, and we know that it is legitimate because the Seiko Sales newsletter of May 1971 shows this dial configuration. 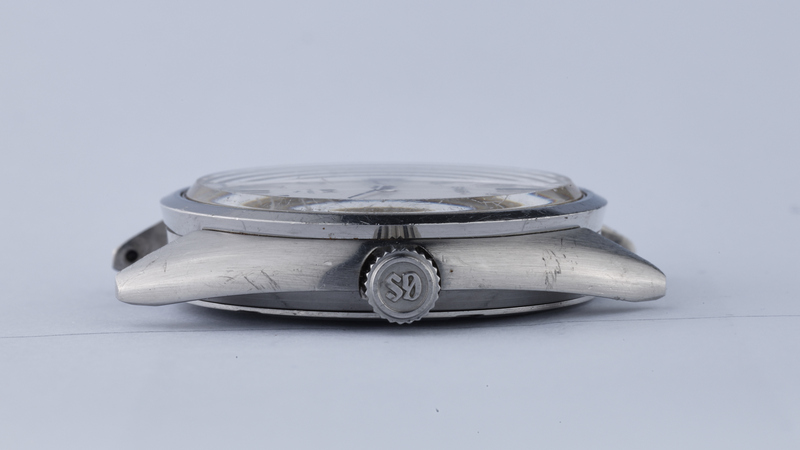 Whilst the dial on this particular example is in excellent condition with no flaws visible to the naked eye, the case has seen better days – it has been polished and lost most of its original brushed finishing, and as can been seen from the photos, also has multiple scratches. On a timegrapher in the dial-up position, the watch is running at around +10 seconds per day. 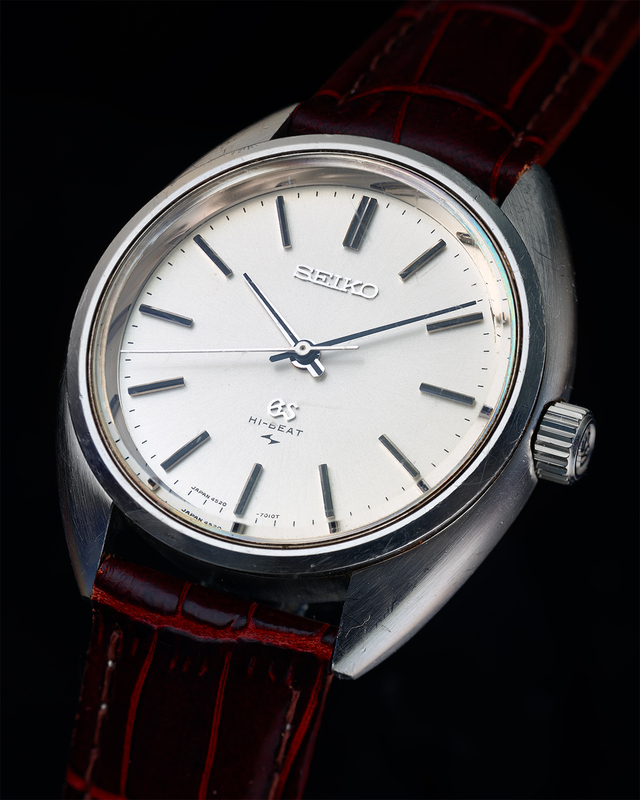 The 45GS series was the second, and final, series to be manufactured by the Daini Seikosha company. 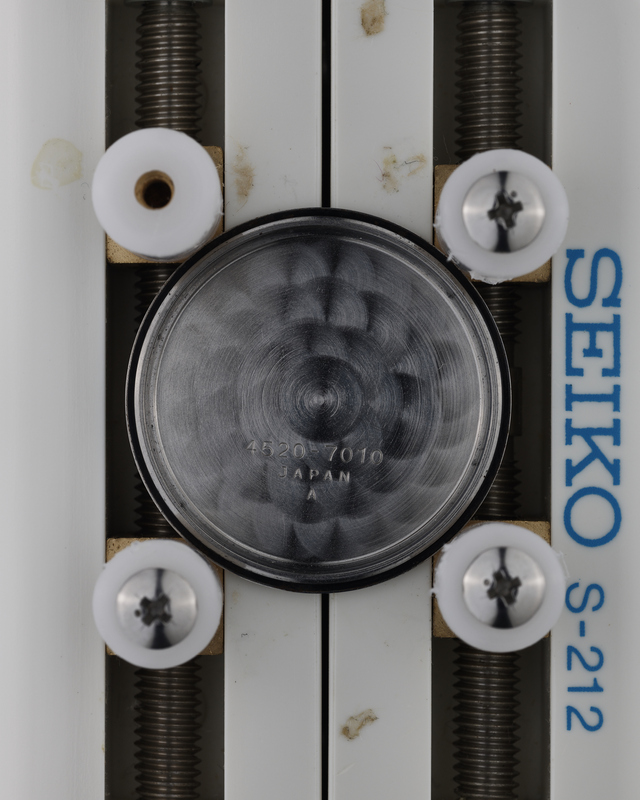 Unlike the contemporary 61GS series from Suwa Seikosha, the model structure and numbering methodology for the 45GS series is both clear and consistent. A total of 19 distinct models were produced, with 18 of them being available for general public sale. 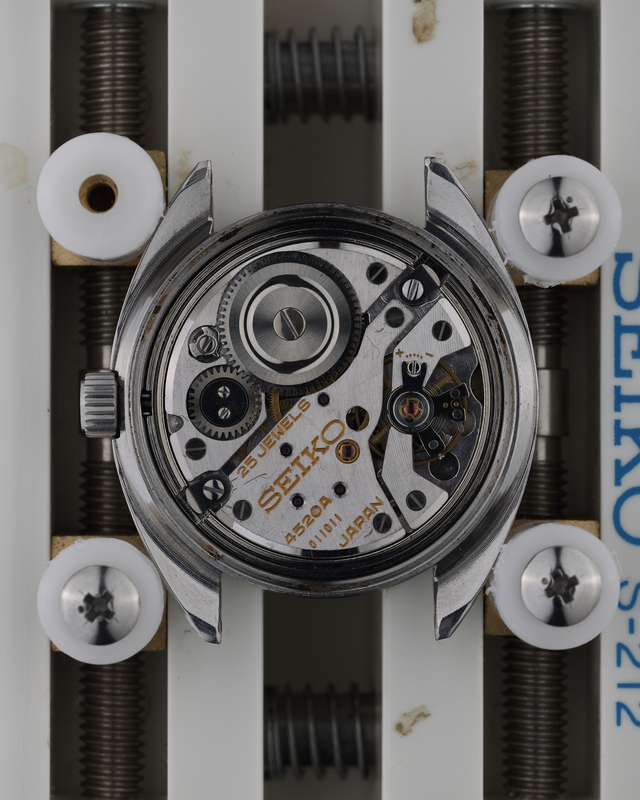 There were just three calibres used for the 45GS series – the 4520A (no complication), the 4522A (with date complication), and the legendary 4580 VFA. Both 4520A and 4522A calibres were offered in four case variations. Versions of all case designs can be found for sale on this website. 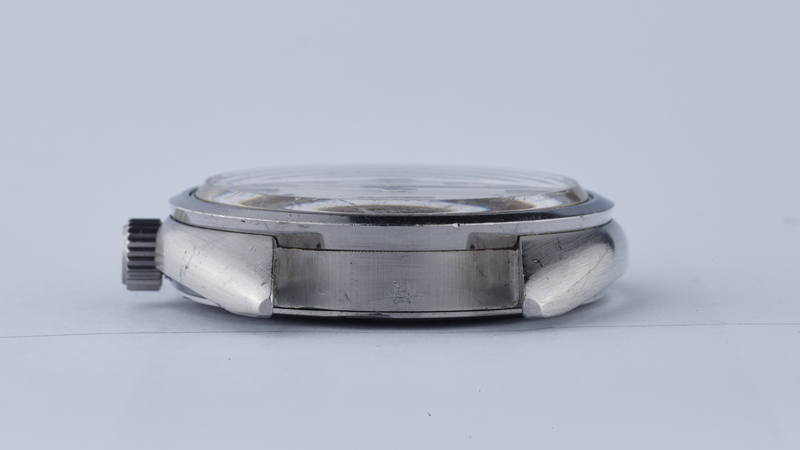 In addition to the above sixteen models, there was also a version of the 4522-8000 in steel that was made for the Toshiba corporation as a commemorative watch given to employees who celebrated 25 years employment with the company. Finally, there are two VFA models utilising the 4580 calibre. 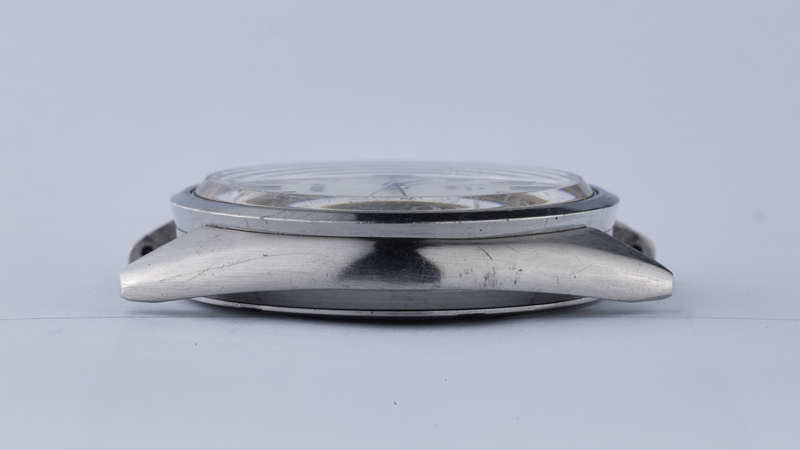 These models can undoubtedly be considered the absolute pinnacle of the entire vintage Grand Seiko era, and either of them would qualify without peer as the ultimate “grail” piece in any vintage Grand Seiko collection – not just because of their rarity, but also because the represent the ultimate achievement of what Grand Seiko was all about – creating quite simply the best watch on the planet.